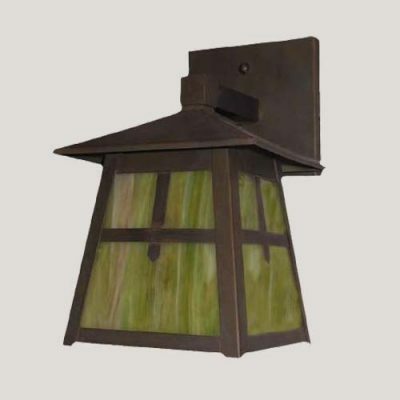 Waterglass Studios has been making copper lighting & accessories for over 30 years. 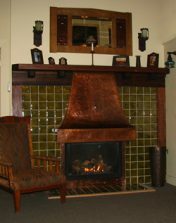 During the last 10 years we have been creating copper fireplace and range hoods for architects, designers, contractors and home owners. Choose from one of our designs or allow us to aid in the creation of a design to fit your specific needs. Send us a sketch of your dream hood or fireplace. 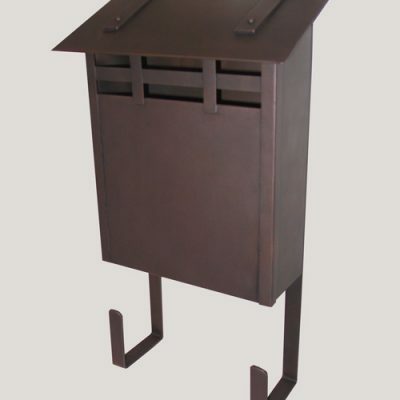 Patina Finishes – Can be finished with various colour options from light antique copper to oil rubbed bronze. 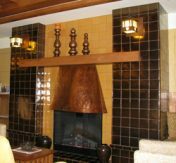 All fireplace and range hood prices available upon request via email or telephone. Arts & Crafts inspired hood. R-2008 Pricing information available upon request. 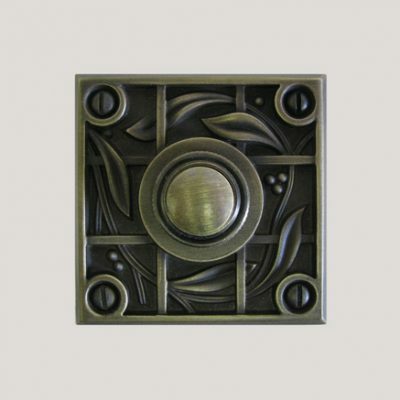 R-2003 Pierced stylized rose motif with mica inserts. Pricing information available upon request. 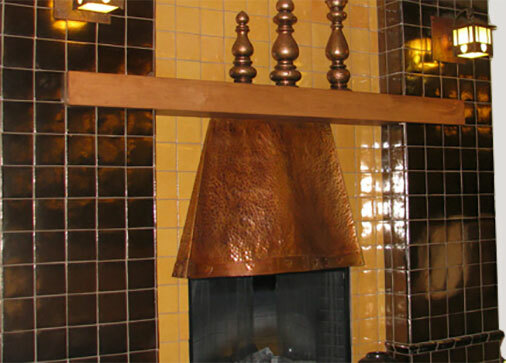 Gas fireplace with a copper hood and surround. F-2005 Pricing information available upon request. 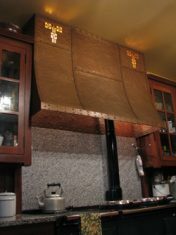 Handmade copper fireplace hood with our custom copper lanterns. F-2004 Pricing information available upon request. 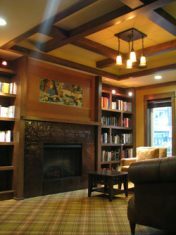 Library copper surround for gas fireplace. F-2001 Also showing our custom Arts & Crafts inspired light fixture. Pricing information available upon request.